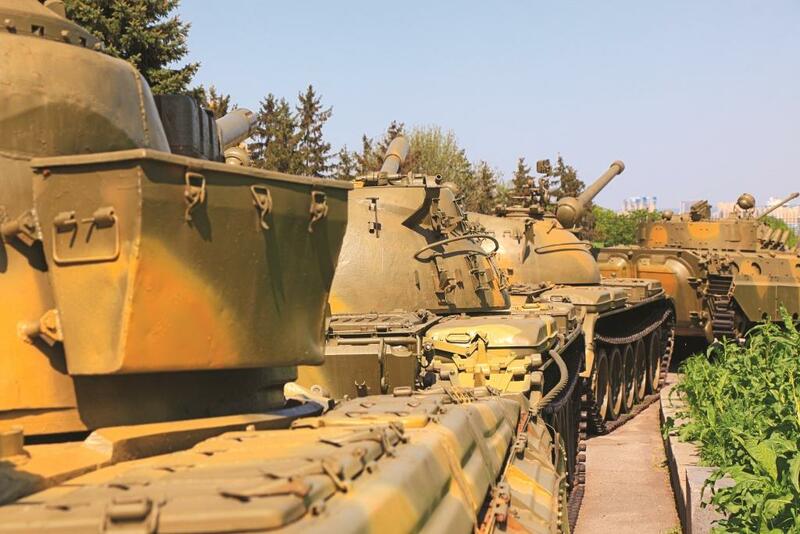 Throughout history, conflict has been an ever-present aspect of human activity, but war has of course evolved over the centuries as technology and military strategies changed. The concept of hybrid war has emerged since the end of the Cold War and describes the idea that conflicts are multi-faceted, consisting of strategies that blend conventional warfare tactics, cyberwarfare activities, use mass communication channels to distribute propaganda and often involve a fluid, nonstate adversary. With the nature of conflict irrevocably changed, the importance of research in this area cannot be underestimated, as it can go on to influence policy makers and the way that nations respond to security threats. BU’s Dr Sascha-Dominik Bachmann, an Associate Professor in Law, is working with military experts from the Swedish Defence University (SEDU) to explore the concept of hybrid war and advise policy makers about how to deal with the threat. He has been working with Professor Håkan Gunneriusson, Head of Research: Ground Tactical and Operational Matters at SEDU, since 2011 on the subject. “My area of research is mostly conflict, and specifically hybrid war, which is a particularly topical subject since Russia’s activities in Ukraine and the Crimea. I have been working on this since 2011, when I was NATO’s Rule of Law Subject Matter Expert on a project looking into how to counter the threat of hybrid war,” explains Dr Bachmann. Dr Bachmann originally became involved in this area of research through his role as Rule of Law Subject Matter expert for the North Atlantic Treaty Organisation’s (NATO) study on hybrid threats facing Europe – diverse issues such as terrorism, organized crime, failed states and how a mass influx of migrants might lead to political instability in certain countries. The underlying issues often form the tactics used in hybrid war, which is how one area of research led to another. Hybrid war is an extremely topical issue following Russia’s actions in Ukraine, which means that Dr Bachmann often finds himself sharing his research findings with international policy makers as they try to determine how to respond to it. Lawfare, for example, is a new aspect of hybrid war, and one which has affected the UK in the past. The UK has seen legal challenges to its military activities in Iraq and Afghanistan – an example of how the law can be used as part of a hybrid war strategy in on-going conflict. Communication and propaganda too, can be used to spread false information or sway public opinion, as has been seen in Russia and Ukraine. For exactly these reasons, Dr Bachmann believes it is vital to have a multi-disciplinary and comprehensive approach to dealing with hybrid war threats. “No one wants to go to war, of course,” he says. “However, in instances such as we have seen in Ukraine, where a threat is made, we must be able to respond – but respond in kind. This could be through adopting lawfare strategies or spreading information proactively through the communication sphere. We have to look at the threat through a different lens and use different methods to deal with it. Ultimately, this is an area of research where we – as academics – can make a big difference. It’s an area that is moving very fast and requires a quick response from international bodies. As lawyers, we can work with NATO and national ministries of defence to develop new legal frameworks to tackle these issues,” explains Dr Bachmann. Bachmann, SD and Gunneriusson, Håkan, (2015) “Russia’s Hybrid Warfare in the East: Using the Information Sphere as Integral to Hybrid Warfare” Georgetown Journal of International Affairs.